Dr. Balcomb welcomed and thanked everyone for volunteering on the National Council. He shared a few words of encouragement and of True Mother’s confidence in God’s Will coming to fruition no matter what. True Mother is asking us to recognize and let go of the responsibilities that are getting in our way, and to really focus and prioritize our time and effort. From this point on the meeting was chaired by Terry Yamane. National Council Chair, Dr. David Burgess shared of two issues that arose in the past year which will be carried over into business for 2016. One was of the halt of the Grants Program from HSA, which will need to be restructured and presented again if this program is to continue and receive funding. The second is the need for more clarity and better training for all council members (Local, District, National) on how to effectively conduct business and do their job. The recommendation is to create a “Best Practices” manual for councils that will serve to strengthen the development of our charter system of governance. Mari Curry, FFWPU VP and liaison to the National Council, wanted to highlight progressive developments that are coming out of HQ at least partly as the result of recommendations from the National Council and its committees. The following were cited: best practices applied to the dplife.info site; creating a witnessing team strategy and the launch of the Tribal Messiahship “Just Do It” campaign; development of a leadership training program for pastors (e.g. the pastors boot camp); pastor’s weekly support call; and encouragement of the Top Gun program. First Dr. Balcomb shared the good news and successes of the movement currently in America. This included IPEC as well as other educational developments, blessing successes, overseas service programs, and much more. Crescentia DeGoede, Director of the Blessed Family Ministry Department and present for the session, shared about the expansion of the Blessing Movement, and some of the amazing tools that can be used both for outreach and to educate and strengthen current blessed families. This included the Community Ceremony Blessing Kits accessible at bfm.familyfed.org and the Marriage Course Seminar Series found at www.themarriagecourses.org/. These are now being practiced successfully in various communities. Sanctuary Church: Currently, the Sanctuary Church has established itself as a separate legal entity, separate from the FFWPU.  HQ is prepared to issue a letter to the Sanctuary Church to discontinue the use of the Unification Church symbol. The District and local pastors will be informed of the situation and a letter will be sent from HQ to all FFWPU members at the same time as the Sanctuary Church is notified. This is a step to legally protect the symbol as the property of the FFWPU and not a personal affront to the Sanctuary Church or its founders. East Garden use by In Jin Nim: In December 2015, In Jin Nim had met with True Mother in Las Vegas and requested permission to use East Garden in her ministry. More specifically, she requested permission to hold a Midnight Prayer on January 1st, , 2016, and have it broadcast to all the members. True Mother initially granted In Jin Nim’s request, but the situation was not communicated well and the plan created a public outcry and the decision was subsequently reversed. Noah: All of the Councils were by-passed in this process; hopefully we will be included when this type of issue arises in the future. A recommendation was made by council member Lucy Park that there be a greater effort of prayer made for unity and reconciliation with the True Children. “If that would happen, we would see miracles”, she said. Currrent Events: Finally, Dr. Balcomb shared on how we are gearing up for these Four Years of Hope until 2020, which we are kicking off with the 40th Anniversary of the Yankee Stadium rally in June at Belvedere. David: The Council spent a great amount of time in 2015 administering the grants approved in 2014. At this point we do not have authorization for funding future grants. We had a discussion with Dr. Kim to better understand his concerns and how we can create an improved, more effective program worthy of additional funding from the HSA Board. For the rest of this year we will start by flushing out a few ideas with the committee and then come up with a plan that can be presented to the Council. For today I wanted to put a motion on the table. I feel passionate about this, but I want the full Council to be in support. Financial Committee. Alan Jessen, Chair. Alan: We had two main thoughts for our focus this year. The Committee felt it would be important to be involved not only in a review of the financial statements, but also in the budgeting cycle of making the church budget for the upcoming year. Public organizations typically get feedback from their tax payers or stakeholders prior to finalizing the annual budget, which becomes, then, the basis for next year’s work. We need to find out when that cycle begins and ask to be a part of it. Mari: It happens two or three times a year, once at the end of May/June, and another for setting the annual budget in November with the board. Alan: Our second area of focus is to analyze past years tithing data and see what strategies we might recommend in order to increase tithing as a part of the budget. We believe that surveying our membership – especially the younger members – will be critical to our goal of offering credible recommendations to HQ for change. Requests for Mari: To contact the HSA Board about the budget process and to have access to the previous year’s audit reports. Judicial Committee. Lucy Park, Chair. For the purposes of educating the membership, the Judicial Committee will write an introductory letter to the membership to inform them of the work of the National Council in its first 4 years as a whole and particularly promote awareness of the Whistleblower Policy. Mari encouraged the committee to create video clips and use social media as well. An Executive Summary will be prepared to highlight the purpose of the Council and each of its committees. Recommendations Committee. Atsushi Takino, Chair. Atsushi: We will first review the recommendations submitted last year at the Strategic Summit Analysis. As Dr. Balcomb mentioned, some of the recommendations have already been adopted such as in the area of education for example. We will review them again to determine if they need more work or follow up. David: The goal of this committee is to take suggestions from the field and develop them into formal recommendations for HSA HQ to consider. Not everything requires a formal recommendation, however. The idea is that you are looking for where a major gap exists and then to facilitate a response to properly address it. Charter Committee. Michael Allen, Chair. Michael: We want to focus on creating a” best practices” manual for council procedures not specified in the charter. This is a long term project that would explain what works well and how to do it. David: For example, how to manage meetings, run elections and what are the tips and techniques of what has worked. A charter outlines rights and responsibilities. This would be a manual with the guidelines. Currently people are running the councils with the best of their ability but a lot is based on personality and situations. Identifying and implementing best practices will help people to see that the system is fair and transparent. Michael: It would be great to know who is implementing council procedures on a local level. We could include this topic in the survey. Libby: After our meeting in Oct. Dr. Balcomb had a recommendation that perhaps the National Council could get involved where communities have a problem with their own charter and whether it is being followed or not. Noah: It is important that we raise the profile of the NC and that we remain in touch with our communities. We may bring up a formal amendment in October. Michael: Members need to be more aware of what the local and National Council functions are. Terry: I would like to entertain a motion to create a survey with questions from each committee to go out to general members. We are seeking feedback to expand our awareness of concerns in the field and provide those to Dr. Balcomb. Lucy: I would love it if the President and the HSA Board would also submit a few questions for the survey. The respondents to the survey can be anonymous but it would be helpful to know what district they are from. Terry: Would everyone agree we send a survey to the field? David: I move the grant committee make a proposal to Dr. Kim to restructure the grant program and seek HQ approval. Noah: Will you have something for the Board of Directors and funding by May? David: No. I do not think it is ready to go to the Board. We need Bishop Kim’s approval first. I don’t think we can make this request by May. My feeling is he agreed to review a proposal, but there is a level of skepticism we need to overcome. Noah: So that means no grants will be available this year. Terry: Would everyone agree for the Grants Committee to make a proposal to Bishop Kim that the Grant Program be restructured? David: I move that the Council approve the creation of a policies and procedures (best practices) manual, and that we commission someone to create that manual. This is a project that we have anticipated needing to be done and I have worked with Mari to set aside funds for this purpose. Terry: Will the Council approve the development of a best practices manual and commission for someone to do it? Terry motions to adjourn the business meeting. We hereby end the business meeting at 9:45am. Mari announces the next meeting will convene in early October, rather than late October.